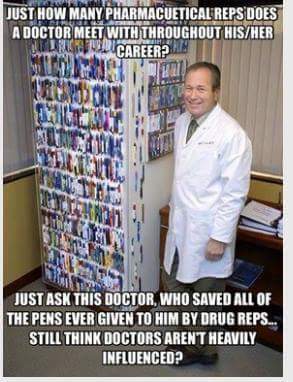 Which Government Officials are Receiving Pharma Contributions? FOURTEEN STUDIES: Studies used to debunk vaccine-autism link funded by the manufacturers. 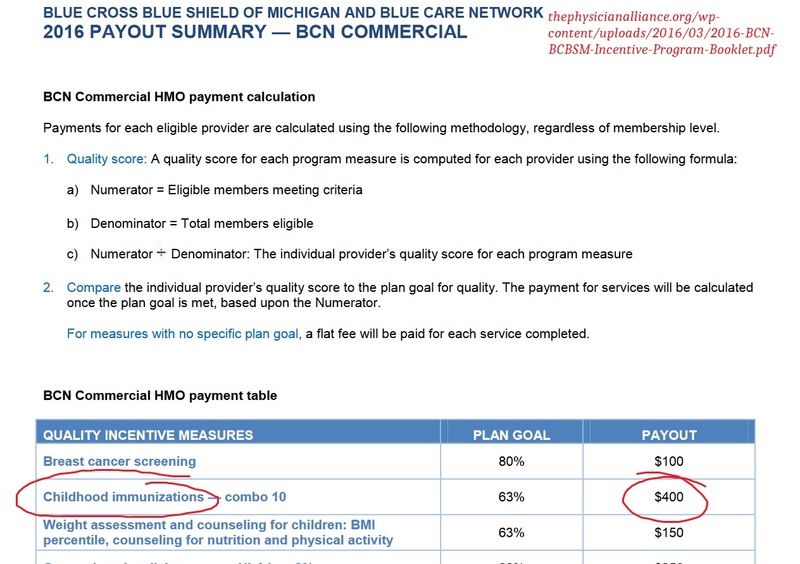 Here, Blue Cross Blue Shield’s 2016 Physicians Performance Program pays physicians a $400 bonus per child in their practice that is fully vaccinated by age two. An analysis (with sources) from a blogger here. The link to the BCBS program for 2016 can be found here. UPDATE: The BCBS link was removed at the end of the year, you can find a backup copy here.